As an attendee, you get to watch the live event and participate in the moderated Q&A. 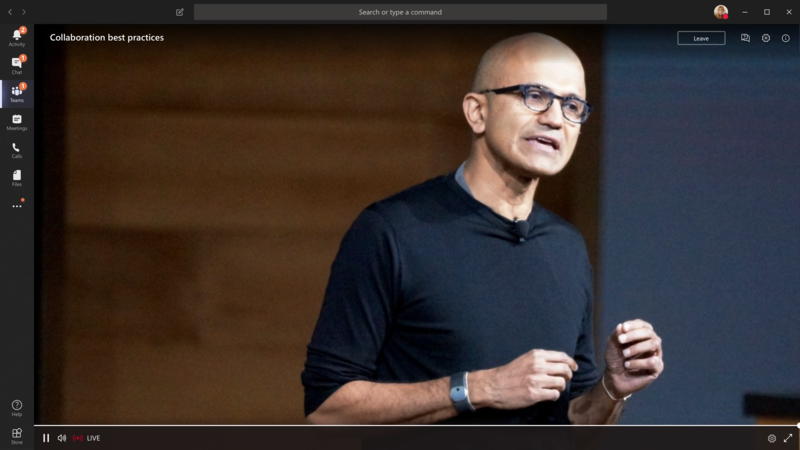 Ensure your browser supports Microsoft Teams and Microsoft Azure Media Player. Open the live event link, to join the event. If you open the event from Teams, you'll join the event in Teams. Note: Live events don't use your Microsoft Teams device preferences yet. Use your operating system sound setting to choose your speaker for the live event. If you open the event from Outlook, you can join from the web or open the event in Teams. 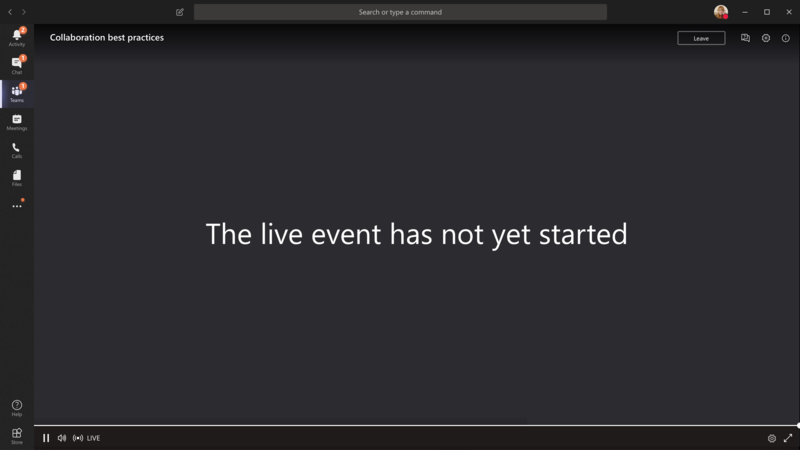 If the live event hasn't started, you'll see the message "The live event has not yet started." If you're already signed in to Teams, you'll join as an authenticated user. If you're not signed into Teams, you'll join anonymously on the web. If you're attending the live event on the web, use a media-source extension(MSE)-enabled web browser like Chrome, Firefox, or Edge. Safari is not currently supported. 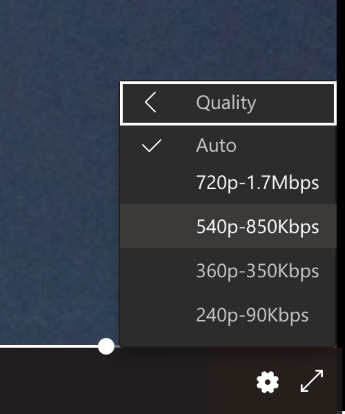 Note: If the live event begins in low resolution, you might need to manually reset it to a higher resolution. Once the live event is over, you can still watch the recording using the same link, if the organizer chose to make the recording available.